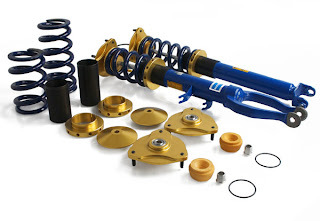 "Designed for the original equipment Bilstein dampers on the R35 GT-R, our coil over conversion kit provides ride height adjustment, access to a wide array of spring rates, and rigid upper mounts for precise feedback and control. 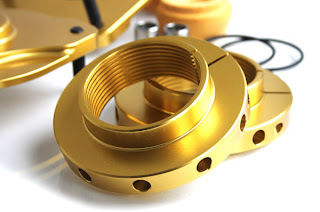 These can be installed without any permanent modifications to the stock damper assemblies, and allows you to keep the convenience of the stock electronically controlled dampers. This means you can still fully enjoy your R35 at the track on weekends with your dampers in ‘Race’ mode while still enjoying a smooth ride during your commute to work during the week with your dampers in ‘Comfort’ mode." 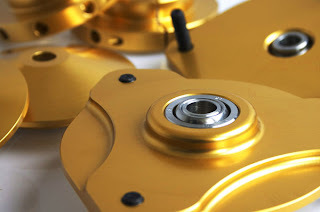 These should be much less expensive than a full coil over kit, and allow a decent range of adjustablilty. Good for weekend warrior types of people that don't want to spend over $4000 on a set of coil overs.